Whatever journey you need to make, Star can help. We operate more than 200 vehicles, from cars to MPVs to minibuses. Most are fitted with air-conditioning and satellite navigation as standard, plus we ensure consistent pick-up times and prices that are fixed (and on average 33% cheaper than black taxis on account). Star private hire has become a serious rival to the black cab trade. We also have a groundbreaking automatic allocation system allows us to offer a ‘within 20 minutes ‘ on demand pick-up time within North Birmingham, a service unique within the UK’s second biggest city. 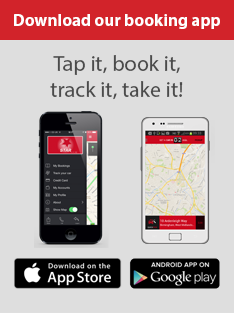 Book your Birmingham private hire car with our online booking system or download our booking app for Ios and Android. We have enjoyed several successful years working alongside our current coach operator, and are happy to announce that we’ll be working together for the foreseeable future. Like us, they’re an intimate family-run company and their drivers love our holidays and tours as much as our customers do. This means you can expect friendly, efficient service from the man behind the wheel, but more importantly that he understands the unique nature of the product that Star Coaches offers. The coaches they supply us with must have a superb passenger experience overriding all other considerations. Air conditioning, reclining seats and extra-long seat pitch are the minimum you should expect. Toilet facilities, fridge, hot and cold drinks preparation area and TV/DVD player combine to make even the longest journeys a pleasure. The finest touring coaches in the world remain the Mercedes prepared SETRA. The light, airy interior and unparalleled smoothness of the ride are unrivalled and remain our vehicle of choice for all our holidays and tours. You can browse our fantastic range of coach tours around the UK right here.